Litter is not only unpleasant but it also has a significant impact on our economic well-being. Two of our biggest employers, our tourism and food industries, heavily depend on an image of Ireland as a clean and green island. 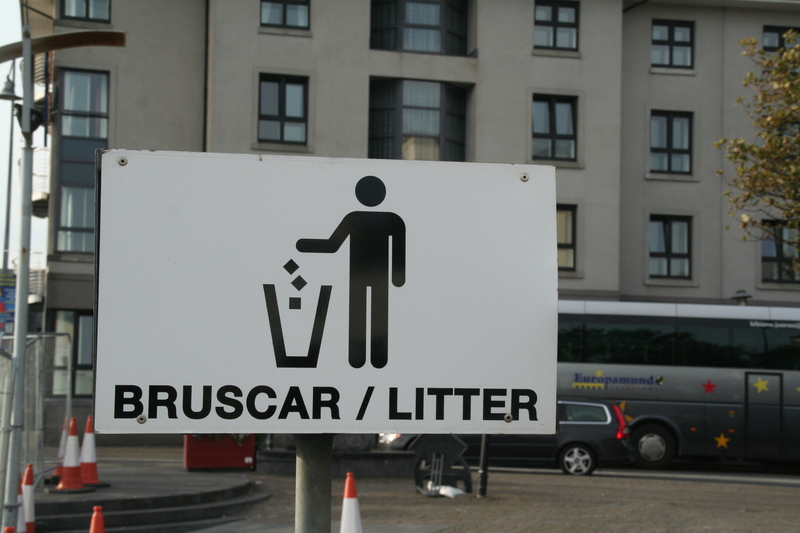 – Initiatives such as Tidy Towns should be expanded. At the moment there are only two Tidy Towns groups in Galway City (Castlegar and the City Centre). More groups need to be established. – More beach and forest clean ups. These clean ups (usually organised by local environmental groups such as Conservation Volunteers Galway, Friends of Terryland Forest Park and Friends of Merlin Woods) should be better supported by local communities. – Greater use of compostable packaging especially for fast food outlets and pubs. Takeaway packaging and beverage cups from fast food outlets and pubs could be made from compostable materials which break down quickly (within 12 weeks) to become compost. – Greater onus on fast food outlets to clean after their customers. Fast food packaging is a huge source of litter. Fast food companies should be compelled to collect any litter that originates from their premises and that is dropped within 300 meters of their entrances. – Greater numbers of segregated bins to encourage recycling.